With Commonwealth Games to be held in Glasgow Scotland in less than three months time L’Chaim’s is gearing itself for a large influx of summer tourists and games spectators. L’Chaim’s Restaurant an activity of Lubavitch of Scotland has almost completed its Eighth year. 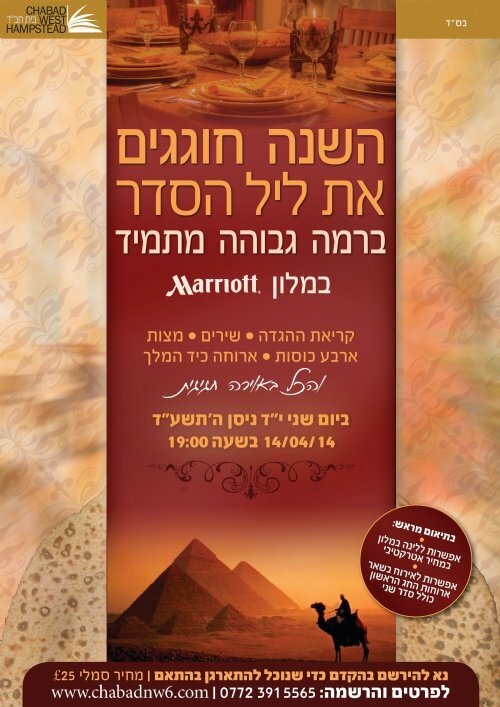 It’s Director’s Rabbi Chaim and Sora Jacobs are very proud of it’s achievements. With Commonwealth Games to be held in Glasgow Scotland in less than three months time L’Chaim’s is gearing itself for a large influx of summer tourists and games spectators. 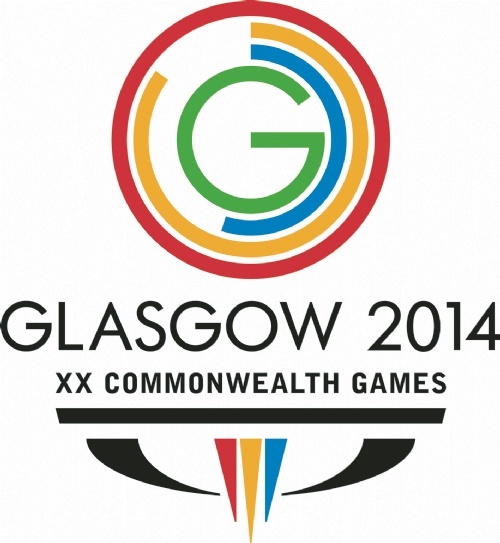 The Games will be held from 23 July — 3 August 2014. 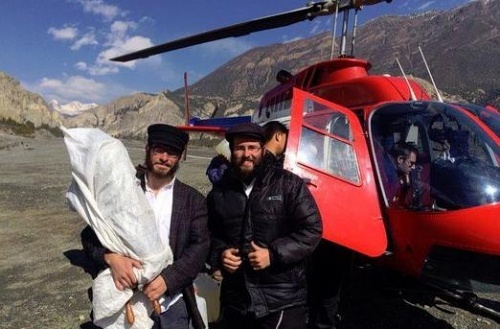 Our new Chabad center established in the Himalayan mountains is only accessible via helicopter, motorcycle and horseback. One of the most recent Chabad Houses to be opened was established in the mountains of Nepal, in memory of a young man from Leeds who died while hiking in the area. Six months ago, George Abboudi, a 22-year-old from Leeds, died while hiking through the Annapurna Conservation Area, in the north of the country. Rabbi Chezki Lifshitz of Chabad Nepal was central to the efforts to find Abboudi when he went missing. 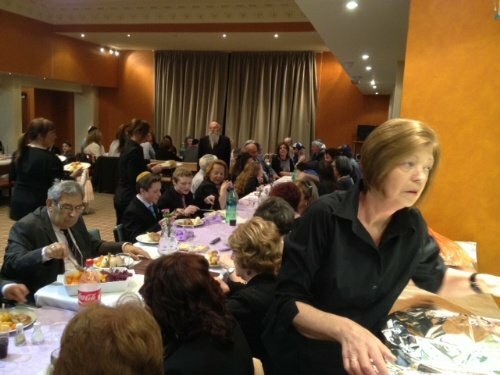 This Pesach, Chabad once again welcomed people all across the UK to participate in a communal Seder night. With a lively atmosphere the story of the Exodus from Egypt was recounted with Matzah and wine. There were communal Sedarim from Bournemouth to Glasgow in major towns and cities including options for students on campus, families, tourists. There were even Sedarim conducted in Ivrit for Israelis. It’s past 11 o’clock at night at the Chabad House in Kathmandu, Nepal, and a calm breeze passes through the Jewish center’s courtyard. Rabbi Chezky Lifshitz is wrapping up a Torah class he has been giving to 30 Israelis, and a few more sit about chatting. Although a serene quietness envelopes this Himalayan Chabad House, it is less than a week before Passover and Lifshitz still does not have all the supplies necessary to ensure that Kathmandu’s iconic Seder – along with three others held in other parts of the country – can take place.